Have you ever heard about the Klais company? Or maybe Medtronic? No? But you must have heard about Koenig & Bauer! Still nothing? Well… To be fair, I’m not surprised. All aforementioned enterprises are – what we call it in the business world – hidden champions. In short: their market coverage and revenues go through the roof, yet they are not recognisable like big corporations with the same achievements. Looking at the ever-changing IT market, I’ve started to notice that the hidden champions theory might fit this industry perfectly. 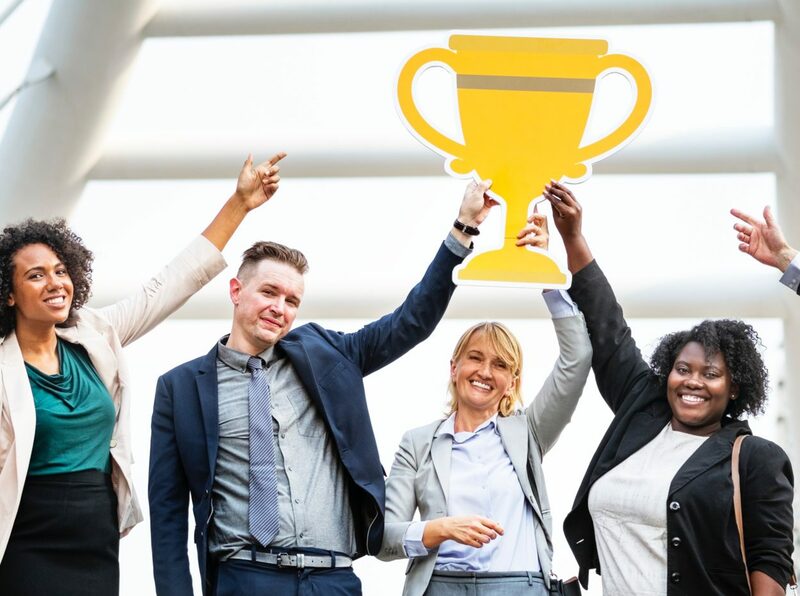 In this article, I’ll try to explain why choosing a small or medium software development company, a.k.a the IT hidden champion, may be the best decision if you’re looking for a technological partner. Hidden Champions – who are they? The term “hidden champions” was introduced by prof. Hermann Simon, who’s considered one of the most influential contemporary business management researchers. He’s conducted research focusing on small and medium-sized companies that export their products/services, no matter of industry. Surprisingly, enterprises that achieved excellent results were also found on niche markets. The companies included in the project, hidden under the layer of anonymity, often had a 70-90% global market share. The strategy of these broadly unknown industry leaders is questioning the widely-accepted view that technological progress is flowing from large enterprises to small ones. Hidden champions, when compared to corporations, deliberately remain small, grow slower but last much longer. What’s especially interesting, when almost all industries were affected by the global crisis, hidden champions maintained their presence and revenue by defining their market narrowly, focusing on their specialization and creating a niche. Their success is cemented by perseverance, attention to detail and commitment to the close relationship with their clients. I’m sure you’d like to see an example now, so let’s use the names from the introduction. Klais specialises in building massive pipe organs. Their instruments are everywhere – from Australia, Malaysia and China, through Poland, Iceland and Greece, reaching to the USA and Brazil. Do you know how many people they hire? Only 65. Coming up next: Medtronic defibrillators. They might have saved the life of your loved ones and with the 46% of global market share and 1.6 billion dollars in sales, they are the number one company in this business. Finally, without Koenig & Bauer’s equipment, you wouldn’t be able to buy that tasty muffin you had for breakfast. Why? This relatively small company produces printing presses for banknotes. And 95% of their machines are sold outside their native Germany. Can a software house be a hidden champion? In my humble opinion, absolutely yes! Every big brand in the world needs top-notch software, tools, CMS platforms, etc. Not all of them decide on handling IT issues in-house (we’re not counting the “have you tried turning it off and on again” people who sort out problems with printers. Nevertheless, you’re hidden champions in your own league, folks!). Instead, they look for technology partners that offer advanced and customised solutions. Software companies, proficient in certain technologies, provide them not only with the necessary product that’s crucial to daily operations, but also knowledge, good practices and modern trends. Still, many software houses remain in the shadow of their far more recognisable clients – they aren’t present in mass media, and most people aren’t even aware of their existence. Their way of conducting international business and generating profits is extremely interesting. Let’s take a closer look at the characteristic of IT hidden champions to understand why the biggest players on the market are constantly choosing a small software development company over a famous IT name. “Our goal is to become the best” – what does it actually mean? If you see a wide tech stack on a software company’s website, you probably cannot talk about a hidden champion. Why? You simply can’t be the best in everything – and nobody wants a mediocre product! The best software houses narrow down their range of services. As a result, they seem to be relatively small, but their products are specialised, customised for every client, well thought through, and executed at the highest level possible. As I mentioned before, hidden champions are specialised in certain areas, but their markets are defined widely and benefit from globalisation. When asked about the geographical range of their companies, they would definitely answer “the world”. Even microscopic niches can become surprisingly large when they are spread all over the globe (remember the pipe organs?). Instead of keeping it small in their native country, region or continent and waiting to grow later, those IT enterprises focus on international markets straight away, from the very beginning of their existence. The location away from the big business centres allows employees to be more committed to the company and its development. After all, a world-class enterprise is the source of pride for the local community and contributes to bigger involvement in the life of the company itself. Unlike in the bigger cities, where employees of the corporations aren’t so dedicated to their workplace and when something’s wrong, they just quit and move to another firm. These “small town” software houses should be taken seriously – in the privacy of their offices, they are likely to grow in professionalism, knowledge to devise competitive tricks, their own tools and solutions. Hidden champions are focused on maintaining high business culture inside the company. Their employees identify themselves with the company’s goals more than in big corporations. This type of motivation is reflected in a low rotation and employee loyalty. The team is considered a big family, the work atmosphere is friendly, teams are well integrated and willing to cooperate with each other. Since the business culture is focused on results, the developers receive a lot of independence and freedom to make their own decisions. They work on selected projects that are interesting for them and where they can show off their skills. This way, you can always be sure that you’ll be working with people who have experience in your industry, technology and have created a similar project in the past. Software companies definitely deserve the title of hidden champions because they don’t follow the market blindly but create their own standards. This includes sharing knowledge with the community and educating young developers, instead of jealously guarding their secrets and hiding them away in a big tower with trenches, labyrinth, dragons and password including big letters, numbers and special characters. They organise meetups, open online training, webinars, write blog posts and so on. As I mentioned before, software companies have been implementing projects for global clients from the very beginning. They reach foreign markets not only for profits but also for experience. Therefore, the hidden champions have mastered working with customers no matter of cultural or communication barriers. They’ve acquired competencies for effective cooperation in even the most specific backgrounds. Not only cultural but also industry specifics (you need a different approach for fintech, travel, art, etc.) and related to the type of necessary software (ERP, CRM, e-commerce…). The bigger the variety the better! Hidden champions don’t get involved in price wars nor get under pressure to lower their prices – their strategy is directed towards value not price. They know the worth of their products and employees. After all, top quality costs. As we’ve pointed out in our free e-book about outsourcing: “Western companies begin to notice that labour costs are not the only important factor to consider and tend to “focus more on cost-effectiveness and proximity, rather than just low cost”. This approach is agreeable with a recent trend to replace IT offshoring (India or China) with nearshoring to neighbouring countries (rising popularity of Central and Eastern Europe). IT hidden champions will never offer you a generic solution. They always cooperate closely with every client on every step of the project, offering thorough research and consultancy in order to achieve the highest quality product possible. Why? The market is very competitive and SME software companies rely mostly on references, customer reviews and building up a portfolio. It means, they have to satisfy their clients and treat them in an above-average way. Only then, they can count on a good referral. We’ve already established who the IT hidden champions are. Now let’s see what’s in it for you. Of course, you could just pick someone with a famous name in the IT industry and get yourself a decent product. But you know what they say – when working with such huge and famous enterprises, you often pay for the logo. 😉 So, why should you hire an SME to develop your software instead? Because the true power of software houses is their know-how, you can be sure that your product will be up-to-date in accordance with market requirements, user experience and include brand new technologies, modern trends, new tools, useful tips and owned solutions. They work in limited technologies, which means that they’ve really mastered them. Such software houses will boldly accept a project from a large company as well as one from a trading niche – for them, it’s all about the technologies used, not the “type” of the customer. Individual approach to the client and close cooperation. If you’re looking for a partner who will say “no” when needed and give you a piece of better advice – you need a hidden champion. Flexibility is hard to obtain for big players. Due to the agile processes, a smaller team is able to adapt to the most demanding client and quickly kick-off the project. Professionalism backed up with a massive experience from previous projects, tested methods, quicker implementation – all this so your project is risk-free. Finally, security. Is your company working with fragile data? Because, in case of any breach, small software houses have everything to lose (especially with the GDPR laws! ), they treat the security issues very seriously. Why have I decided to write on this topic? Because I sincerely believe that The Software House can soon become a true hidden champion in the software development market. Or maybe we are one already? Eventually, it’s for you to decide. Just think about it: our technological stack might not be super versatile, but what we do is always the best quality – five-star reviews from our international clients say it all! We’re also very active in both local and global IT communities. Our tech meetup Uszanowanko Programowanko grew to be the biggest one in Silesia region and our monthly online webinars are attended by hundreds of developers around the world. I encourage you to browse our portfolio of services. As far as web development is concerned, we specialise in Symfony, React, Laravel, Angular, Node.js, Vue.js. We also develop mobile applications for iOS, Android and hybrid apps using React Native. If you’re thinking about choosing a small software development company fluent in one of those technologies, give us a shout! After all, working with a champion makes you a champion, right? 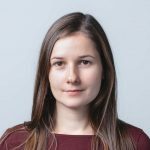 Being a part of Sales Team, Justyna is responsible for contacting potential clients, building relations with them and expanding our network. She’s a Vienna-lover who likes playing bridge in her free time.